LX-15, Digital Piano from Roland in the LX series. Roland introduces the LX-15 Digital Piano, an upright-style instrument with grand piano sound and attitude. The LX-15 features Roland’s SuperNATURAL Piano sound engine, plus a newly developed Acoustic Projection sound system designed to deliver a multi-dimensional sound field. The LX-15 features a traditional and upright cabinet with a polished black ebony finish, a six-speaker system and multi-channel internal processing. The built-in piano selection has been expanded in the LX-15. In addition to modern grand-piano sounds, a newly added Early piano category contains four fortepiano variation and two harpsichord variations. 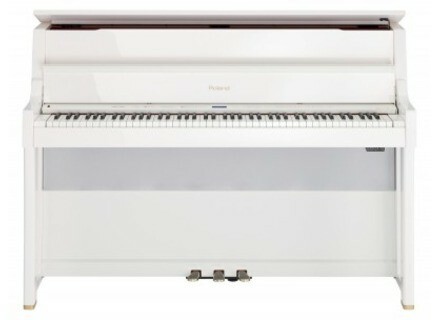 The LX-15 is also equipped with Roland’s PHA III Ivory Feel keyboard with Escapement. 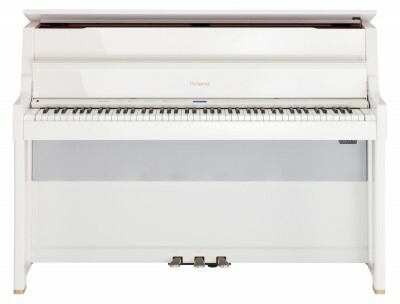 In addition, the LX-15 is equipped with Progressive Damper Action Pedal with half-pedal recognition, and the top lid of the piano can be opened and closed for tonal variation. The LX-15’s built-in recorder lets you capture your performances as audio and/or MIDI data. Recorded audio data can be saved onto USB memory, and copied to an external computer for making audio CDs or for uploading to the Internet. The LX-15 Digital Piano is available now. [NAMM] Roland F-120 Roland announces the F-120 Digital Piano, with SuperNATURAL sound and an Ivory Feel-G Keyboard. Minster Digital Piano Range Expanded The Minster Piano range has been expanded to include a selection of cabinets and styles, from slim compacts to traditional uprights. Alesis The Cadenza Alesis announces that the Cadenza, an 88-key hammer-action digital piano, is now shipping to musical instrument retailers.